I feel bad for Justice League. It’s a film that doesn’t even really have a filmmaker at this point. Zack Snyder delivered a cut of the movie, he left the project, Joss Whedon heavily reshot the film, and then Warner Bros. mandated a cut that needed to be two hours. The result is a film whose crowning achievement is modest coherence. Unlike the disastrous Batman v Superman: Dawn of Justice, you can follow the plot from A to B to C and the one-dimensional character motivations make sense. But when the landscape of the superhero genre has become so rich and diverse, don’t fans deserve more than a movie whose claim to glory is “This isn’t the utter disaster is could have been”? In place of disaster, Justice League is a largely bland, forgettable affair that has nice moments scattered throughout and the promise of a better tomorrow, but outside of Wonder Woman, that’s all the DCEU ever really offers: the promise that the next movie will be better. And sure, Justice League is better than Batman v Superman, but that doesn’t make it good. And that’s pretty much the movie: Steppenwolf is coming to get the Mother Boxes, which will destroy the world, so five superheroes team up and try to stop Steppenwolf. The plot can’t do much more heavy lifting than that, and it takes all of the movie’s effort just to hold together what feels like a forgotten Justice League of America story where an intergalactic invader comes to ruin everyone’s day. There’s no time or effort put towards character building, giving the team a personality, crafting themes, or challenging expectations. Justice League’s most impressive feat is that it doesn’t completely fall apart before your eyes. You can also feel the consequences of Warner Bros. not putting in the time and effort to give these characters their own movies so we would be on board with them as individuals and have a baseline understanding of their differing viewpoints when they bounce off each other. Aquaman, Flash, and Cyborg all function like Wonder Woman did in Batman v Superman—characters who do enough to get our attention, but the task of making us care about them will come in a different movie. Batman v Superman, for all its faults, kind of gets away with it because Wonder Woman isn’t a large part of the movie, but Aquaman, Flash, and Cyborg are center stage in Justice League and there’s no hiding how little we know or understand them. At best, you get something like Miller’s cheerful performance, but there’s nothing approaching a character arc. 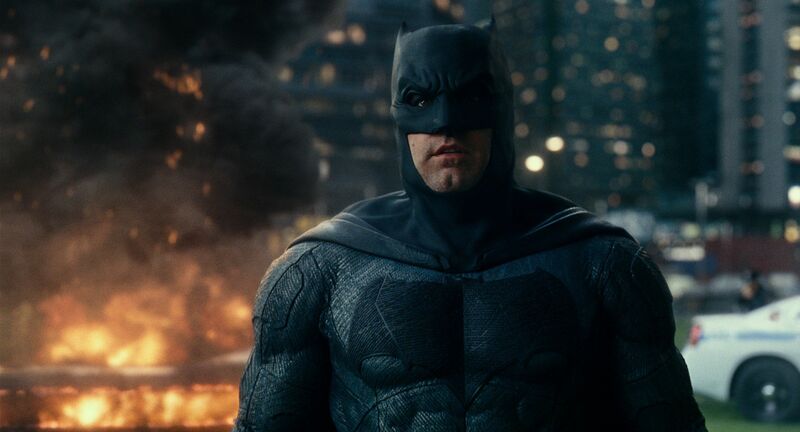 You get hints of one when we see an overeager Barry confronted with the fear of his first mission and Batman provides a mentorship role, but Justice League doesn’t have the time or inclination to build in a story about Barry learning to be a hero or Aquaman deciding to help humanity or Cyborg coming to grips with his existence. They’re fodder for set pieces, and even in that regard, they’re somewhat lacking. Nothing Flash does, despite Miller’s great performance, is ever half as exciting as what we’ve seen from Quicksilver in the X-Men movies. Flash just runs fast and gets surrounded by lightning bolts. The only other character who has a strong showing is Wonder Woman, and if we hadn’t gotten an excellent Wonder Woman earlier this year, Justice League would do her no favors. It points out she’s been missing for a hundred years but that doesn’t really jibe with what we learned about her in Wonder Woman. Gadot is a forceful presence and the character’s compassion really shines in her scenes with Cyborg, but that relationship seems to vanish halfway through the movie, as if it were meant to develop into a strong friendship, but then they don’t speak to each other for the remainder of the picture. This choppiness extends to the rest of the movie and beyond the borders of Justice League. It’s a movie that simply asks us to accept a Superman we never really saw in Man of Steel or Batman v Superman. That Superman was standoffish and unsure of his place in the world, but in Justice League, he’s been rewritten to stand as a beacon (although his statue is still rubble) and whose absence is so profound that it creates the scent of fear that feeds the parademons. Justice League is a movie that’s begging you to forget everything that didn’t’ work in the previous DCEU films as it vigorously smashes the reset button. And trying to hit that reset makes sense, but promising intentions don’t make Justice League a better movie. Yes, it is promising that there’s a lighter tone and the film isn’t terrified of humor like Batman v Superman, but that only works in the hope that the next movie might work. 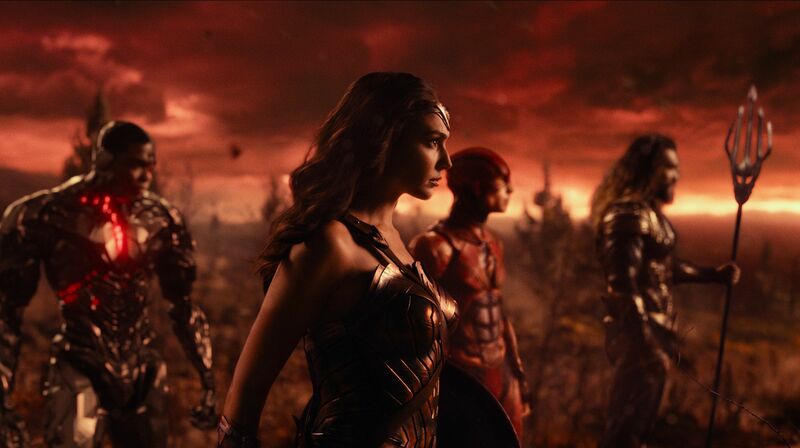 Instead of being a triumphant story where your favorite DC superheroes get to shine in a thrilling adventure, Justice League is a film that’s both cleaning up what came before and laying track for what comes next. Existing on its own merits, the movie is a giant nothingburger because it has little time for character development and too much retooling to tell a layered story. The barebones story that we get lacks stakes because we don’t really know most of these characters and Steppenwolf suuuuuucks. I was expecting Steppenwolf to be dull and easily disposable, but I didn’t think he would be this atrocious. I assume he’s CGI because no actor in their right mind would play such a forgettable antagonist, and I hope Hinds got paid well for a guy whose purpose is to steal Mother Boxes and get punched by superheroes. His existence is so perfunctory it borders on self-parody. Of course, you can’t really expect the villain to get his due when even the lead characters barely have enough time to leave an impact. So Justice League leaves you hoping for next time. Did you like the brief trip to Atlantis? Wait until you see Aquaman. Did you like Wonder Woman taking on a leadership role? Wonder Woman 2 arrives November 2019. Did you laugh at all of Flash’s lines? 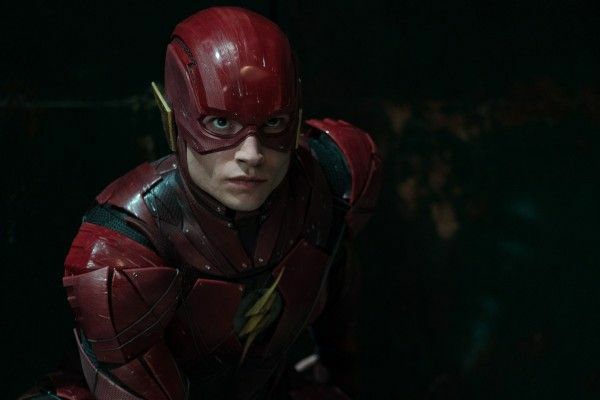 Well there might be a Flashpoint movie down the road. Next time we’ll get it right. Next time we’ll be hopeful enough. Next time you’ll care about the villain. Next time you’ll get a Justice League that will really knock your socks off, but thanks acknowledging that at least this one isn’t as bad as Batman v Superman. The only thing that “saves” Justice League is a low bar and more promises.